Summary: Looking for DIY pearl bracelets for friends? 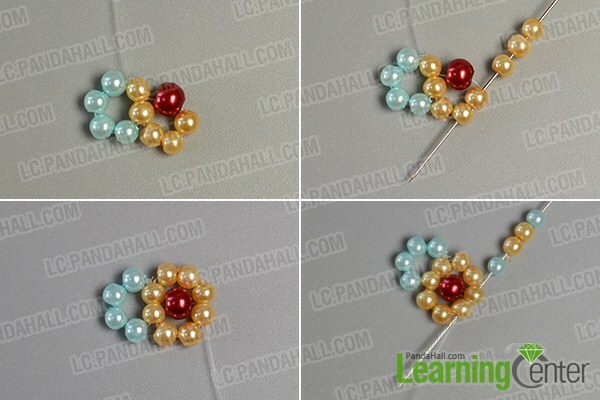 This tutorial will show you how to make light cyan, yellow, blue and red pearl bead flower bracelets. Are you attracted by the four pearl bead flower bracelets? 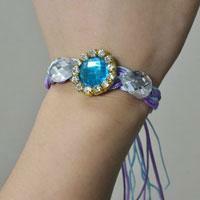 The combination of pearl beads in different color makes the pearl bead flower bracelets charming. 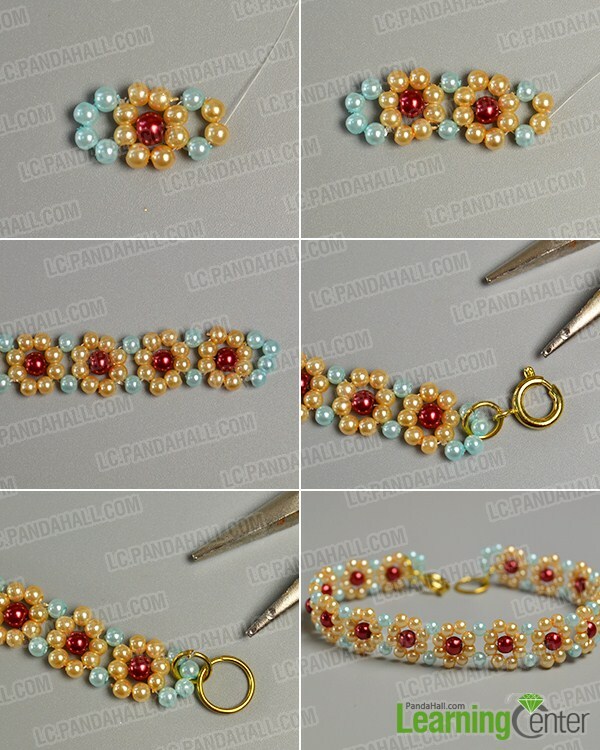 Now, follow me to see how to make the red, blue, yellow and light cyan pearl beaded flower bracelets. 4th, add 3 3mm yellow pearl beads a 4mm red pearl bead to the wire. Then, cross the wire through the two yellow pearl beads (as shown in the picture). 4th, add a 3mm light cyan pearl bead,2 3mm yellow pearl bead and a 3mm light cyan pearl bead in sequence to the wire. Then, cross the wire through the two yellow pearl beads (as shown in the picture). 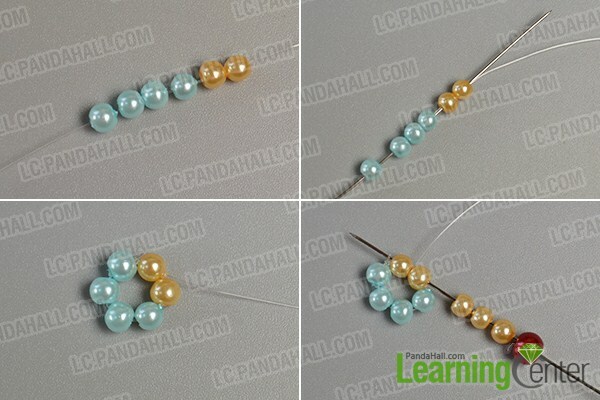 7th, refer to the above steps to make a blue pearl bead flower bracelet, a red pearl bead flower bracelet and a light cyan pearl bead bracelet. 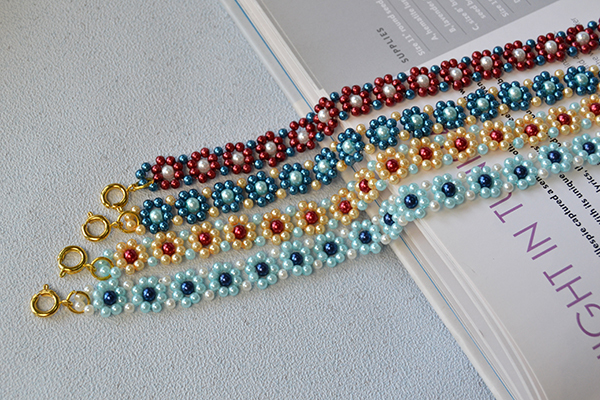 The final look of the blue, red, light cyan and yellow pearl bead flower bracelets. 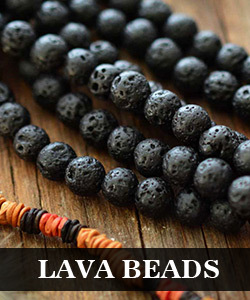 Do you love the bead flower bracelet designs? 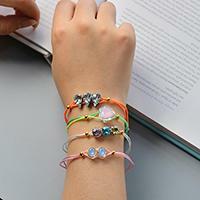 The four pearl bead flower bracelets can be sent to four close friends. 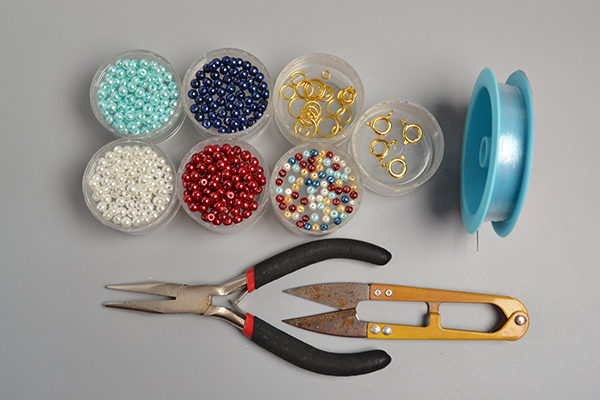 During the DIY process, you can use your imagination to match pearl beads in different colors to create other colored bead flower bracelet. Have a try!